Complete the continuing education to renew your West Virginia real estate license today. All of our courses can be completed At Your Pace online in order to help you maintain your license. Once you complete your class you will have an official certificate of completion available to print or save for your records. 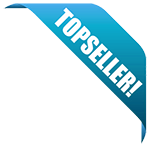 We are approved by the West Virginia Real Estate Commission as AYPORealEstate.com (Provider # 51032). Licensees are required to take 7 hours of approved continuing education every year. Deadline for the renewal is midnight on June 30th. This 7 hour course is designed to provide West Virginia real estate professionals with an overview of important topics and concepts related to the management of a real estate business. Topics covered in this course generally fall into three areas: management of real estate business, recordkeeping, and safety when showing a property. This 7 hour package of educational content is designed to provide real estate professionals with an overview of important topics and concepts related to the ownership and management of real property. This package covers topics such as basic property law, legal descriptions of property, land use controls, valuation of property, investment in real estate, and property management. The West Virginia Real Estate Commission is pleased to inform you that the below listed continuing education courses have been approved and placed on the list of approved continuing education courses for 2018/2019 FY in compliance with the provisions of WV Code 30-40-16. Please use the assigned course numbers on all correspondence regarding these courses. Please be aware that each approved provider shall annually supply the Commission with a comprehensive report of all students who have completed a course in continuing education at their institution. The report must cover the period July 1 through June 30 and must be submitted to the Commission no later than July 15 of the succeeding fiscal year. All course approvals expire of June 30 each year. All purchased distance education courses must be completed no later than June 30. It is the responsibility of the provider to terminate the access to the courses at 12:01 A.M. on July 1 each year. 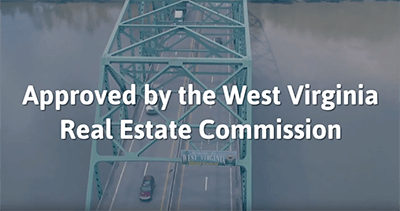 The Commission appreciates your interest in offering these courses to real estate professionals in West Virginia. Should you have any questions or concerns please do not hesitate to contact me.